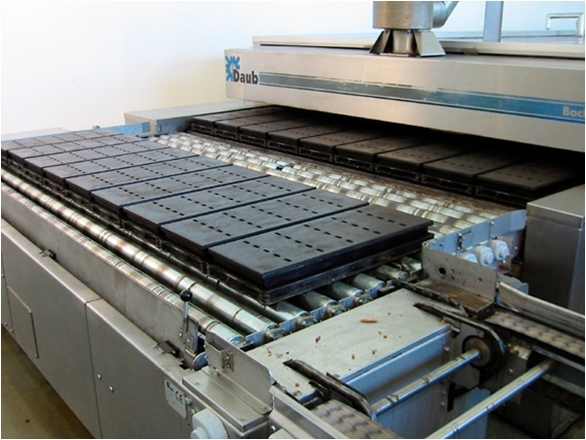 Tin Bread and Toast Line | Naegele Inc.
Our tin bread lines are a good example of high quality equipment integrated into highly efficient lines. This is the most classic of all industrial bakery lines. 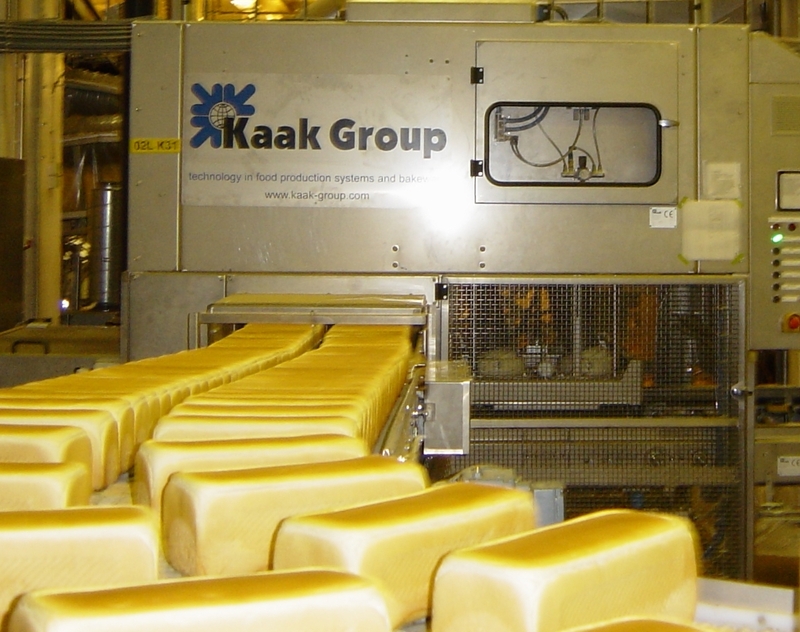 Depending on the line capacity, which ranges between roughly 2,000 and 12,000 products per hour, the line is designed completely according to customer specifications and available floor space in the bakery. After the silo system and the mixing equipment, the dough makeup can be achieved either with traditional divider and rounder machines or with a sheeting line. Again, size and technology used depends on the required capacity and the type of product desired. After depositing the dough pieces into straps, they are fed into the Multi-Step final proofer. In case of toast production, the straps are automatically lidded after leaving the final proofer. Other tin bread types can be decorated before entering the oven. Baking will be done in either a thermal oil oven or a cyclothermic oven. The straps for this line are produced and coated in-house. The size of the straps is determined by the line capacity. From the oven exit the pans are transported to the depanner where the products are taken out of the strap. In case of a toast line, an automatic delidder is placed between the oven and the depanner. The finished product is transported through a spiral cooling system. The empty pans return through the strap cooling tunnel to the dough depositing. In case there are different strap types in the line, the pan storage will take care of the automatic pan exchange when other bread types have to be produced. The manpower level of such an industrial line is extremely low and basically is only required in the dough preparation area. The bake quality, the reliability and efficiency of this production line meets with the highest world standards.